The new Canon LX-MU500 is versatile and features high brightness levels of 5000 lumens, as well as a 2500:1 contrast ratio that delivers vibrant image reproduction even in bright ambient surroundings. Its improved connectivity now enables you to project content directly via MHL and HDMI interface from a smart device. Designed with HDBaseT interface, setting up your projector becomes a breeze. With the capability to combine multiple inputs into one source, cabling is more convenient and cost-effi..
Wireless, Widescreen Performance in the Ultimate Ultraportable. 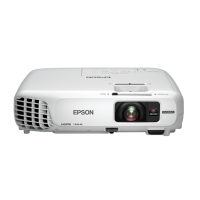 Its ultra-slim design, brilliant, widescreen performance and easy, wireless connectivity (802.11 b/g/n) make the Epson® PowerLite 1776W the ultimate choice in portable projectors. Take advantage of wireless 802.11 b/g/n LAN card capabilities and present wirelessly from your laptop, smartphone or tablet. 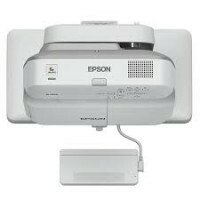 The PowerLite 1776W easily delivers HD video content or images from your widescreen notebook with native WXGA (1280 x 800) resol..
Epson EB-1975W Go Hassle-free. Mirror your content with ease. 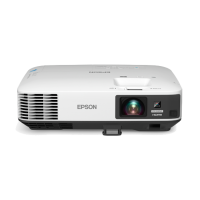 Ideal for meetings or presentations, and enhanced with the ability to play videos – the EB-1975W high brightness business projector displays your desired content with ease and style. Project contents wirelessly from compatible smart devices and laptops without any software installation with the Intel WiDi/Miracast. The technology enables easy wireless transmission of Full HD video and sound from PCs and smart devices, elimina..
Epson EB-1985WU Go Beyond Full HD. Go Hassle-free. Mirror your content with ease. Ideal for meetings or presentations, and enhanced with the ability to play videos – the EB-1985WU high brightness business projector displays your desired content with ease and style. Enjoy a dynamic viewing experience on a larger and wider screen size with incredible WUXGA resolution. Deliver superb high-resolution image displays from video output devices such as PCs and smart devices and watch your 3D CA.. 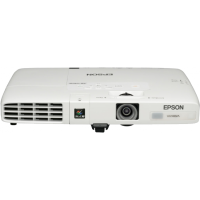 Bright and Light Even though its light weight and compact size enable it to be carried from room to room, the projector is capable of highly visible images thanks to its high brightness and superior 15,000:1 contrast ratio. Room lights don’t have to be dimmed to see bright and clear projected images, allowing meeting participants to concentrate better for improved meeting productivity. High Quality and Cost-effective Connectivity Full Compatibility Advanced connectivity features mean con..
KEY FEATURES & BENEFITS 3 x Brighter Colours and reliable performance* – 3LCD, 3-Chip Technology. Look for both high colour brightness and high white brightness Crisp Clear Resolution – Featuring WUXGA (1920 x 1200) Versatile Connectivity – Easily integrate with any system with HDMI and MHL Wireless Functionality – Wi-Fi Gesture Presenter – Simply move your hand in front of the presentation Split Screen – simultaneously project two images, video or still, side by side, from t..
EB-695Wi With a brightness of 3,500 lumens and HD-readyWXGA resolution, the EB-695Wi's ultra-short-throw design allows you to present large images from a very short distance with minimised shadows and glare. This projector offers ultimate interactivity by combining finger-touch with dual pen capability. A 14,000:1 contrast ratio and HDMI input mean that students benefit from sharp, clear images. 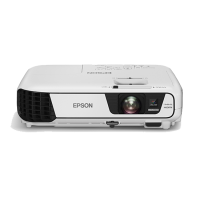 High brightness and image quality Epson’s 3LCD technology ensures high-quality images with e.. Impressive Image Quality Incredible Beyond Full HD Resolution Deliver a dynamic viewing experience with WUXGA 1920 x 1200 resolution image display without distortion in Video, Blu-ray and other graphicintensive media. The projection images remain razor sharp and vivid, even on larger screens. High Contrast Ratio Add brilliance to your presentations. 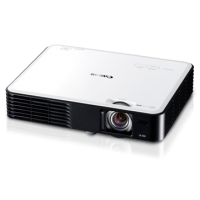 Boasting stunning brightness of up to 3,000 lumens and a high contrast ratio of 15000:1, these projectors enable you to project be.. Impressive Image Quality High Contrast Ratio Add brilliance to your presentations. Boasting stunning brightness of up to 3,200 lumens and a high contrast ratio of 15000:1, these projectors enable you to project beautiful, well-defined images wherever you are, regardless of ambient light. 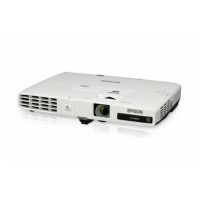 Seamless Connectivity and Usability Epson iProjection* The iProjection application enables a wireless connection for projecting images and files from your smart devices. The “QR Code Reader” f.. Impressive Image Quality High Contrast Ratio Add brilliance to your presentations. Boasting stunning brightness of up to 3,200 lumens and a high contrast ratio of 15000:1, these projectors enable you to project beautiful, well-defined images wherever you are, regardless of ambient light. 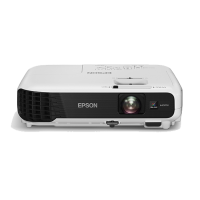 Seamless Connectivity and Usability Epson iProjection* The iProjection application enables a wireless connection for projecting images and files from your smart devices. The “QR Code Reader” function ma.. Capable of producing an amazing Full HD resolution with up to 3,600 lumens, your images remain crystal clear even for large projections. 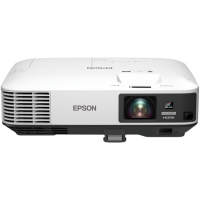 White and Colour Brightness at 3,600lm XGA resolution High contrast ratio of 15,000:1 Horizontal keystone slider 10,000 hours lamp life in eco-mode Read more at https://www.epson.com.sg/For-Work/Projectors/Corporate-and-Education/Epson-EB-X36/p/V11H723052#LdprLmeFeDdkgHXr.99 .. Enhanced Features for Superior Performance 1.6x Zoom Lens Enjoy greater placement flexibility with 1.6x zoom lens. 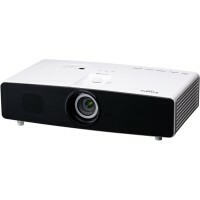 With wider lens, you can position the projector closer to the screen to free up valuable room and desk space. Multi-PC Projection With the control of a host PC, up to 50 terminals can be connected via the multi-PC projection from a single projector. The host PC acts as a moderator, selecting media from up to four terminals to be projected simultaneously. With the m..